Actually I’d be extremely grateful if someone could give me an accurate update on what is going on out there in the human part of the UK. We have been following broadcasts from your news establishments, well Lucy has, and she has been giving me updates and the like. I am given to understand that the humans, for some unfathomable reason, voted to leave the EU some time back. Now I am told that their political types have done nothing but argue and have not even got a sensible sandwich policy worked out. The whole things seems like a lot of utter nonsense! Those chaps need to get their acts together and no mistake, I am considering writing a strongly worded letter to the woman who claims to be in charge! It is quite concerning I can tell you! Pupils from the School for gifted otters who seem to have lost their hats! 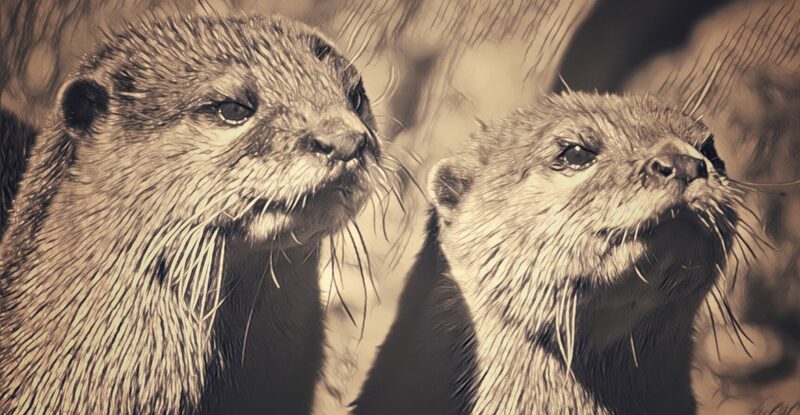 We UK otters have a marvellous working relationship with the EU Raft and we fully intend to keep it that way. In fact just recently we have set up a wonderful exchange programme between the School for Gifted Otters and the École de superbes loutres in Paris as well as the Szkoła dla inteligentnych wydr in Warsaw. It sounds marvellous to me, get them learning about each other while they are still kittens. It will stand them in very good stead for the future and no mistake! Right, now on to business, that is to say more business, after all the ties with Europe and these tremendous exchange programmes are most certainly very important business. Not, however what I was going to talk to you about today, or so Lucy tells me! Always reading over my shoulder that one…good thing too or I’d never get anything done! I was going to tell you about the splendid progress the chaps down in the Quantum Transportation Lab have been making. I paid them a visit yesterday for a progress report, much more efficient than wading through mountains of paperwork I can tell you! It is all going swimmingly down there, they have very fine brass and copper pipes and levers with rather excellent cog wheels all over the place. It is looking extremely impressive. It all functions too, I am told! While I was down there Duncan McBristlewhiskers was deep in conversation with Brian Russetcoat. They had some rather splendid looking blueprints spread out and there was a considerable amount of gesturing! The whole thing seemed extremely intense, I felt it would not do to interrupt such complicated philosophical musings. Instead I sought out Penny Paddlepaws, she is a much more down to earth young otter, far less likely to turn the universe inside out in order to catch a herring in my opinion. According to Penny they are working on a way to link the time wheel and the quantum transporter together. This will give us the ability to put otters anywhere at anytime I am told! Sounds like a first rate idea, I’d like it very much if Zsofia could nip back to 16th century Germany and pick me up some fried shrimp. The chef has been telling me about it, he has a new translation of a recipe or somesuch thing, sounds like just the thing for a Thursday afternoon! She claims that is not an appropriate use for this new technology, but who is in charge around here, that’s what I’d like to know! Now, I must dash, I have an impromptu meeting of the Otter Security and Police council to attend, they’d better have some good refreshments, that’s all I can say. All this talk of shrimp has made me peckish!! Blueprints! Excellent! Nothing can go wrong, now!